To prepare a Shrimp Chow Mein Recipe from scratch is super easy if you know how to! These Chinese one-pot noodle stir-fries look complicated but they are not. Besides, to prepare a shrimp chow mein from scratch will take you only 15 mins. I know that these popular Asian dishes might look daunting but homemade beats take-outs you decide to make this stir-fry noodles healthier and more nutritious. That is why I got you a useful shrimp chow men recipe with a detailed how to make shrimp chow mein from scratch video. 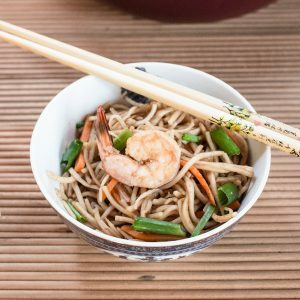 You will see, preparing shrimp chow mein is effortless and it will provide you a delicious weeknight meal! Chow Mein is a popular Chinese egg noodle stir-fry. In fact, Chow means to stir-fry in Chinese and Mein are the noodles. Stir-fried Chinese noodles have become super popular all over the world and different countries have their own adaptations, depending on the local taste demand and availabilities of ingredients. fresh produce such as spring onion, ginger, garlic cabbage, carrots and/or proteins as in shrimp, egg, chicken. Shrimp Chow Mein is prepared with shrimp. Fresh preferably. Other Chow Mein meat variations, mostly just exchange/add a protein. So, you can have a chow mein variation with just chicken, beef, pork, tofu, egg, mutton or a combination of 2-3 of those proteins mixed in one chow mein dish. Trivia: Did you know that shrimp are called prawns in a few English speaking countries such as in the UK and India? 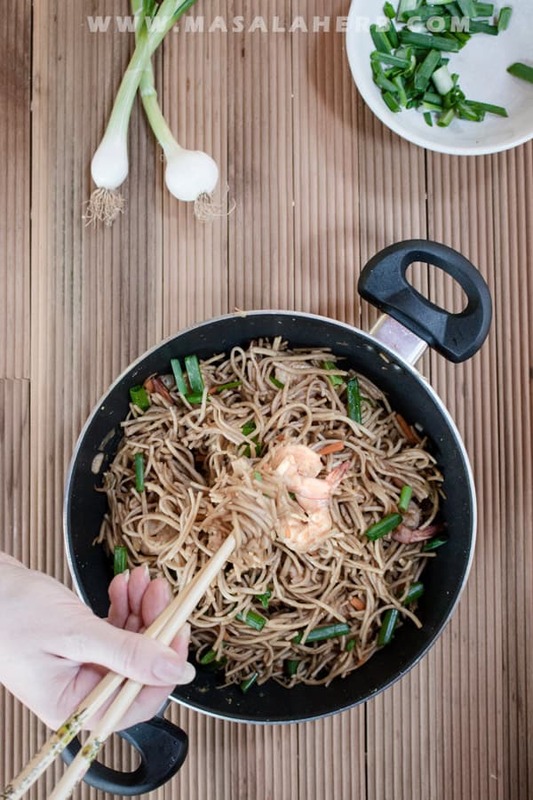 To make things simple today we will add only shrimp to this shrimp chow mein recipe. However, you could also add egg or tofu if you want to or add in more vegetables such as cabbage, sprouted beans, bok choy. I keep my shrimp chow mein simple because I will be faster that way in the kitchen, which basically means less work and usually I don’t keep ingredients such as sprouted beans in my fridge. Yet feel free to add appropriate ingredients. Eventually, that’s what you will do once you start preparing this shrimp chow mein more frequently. Consider this shrimp chow mein a basic recipe! How to make Shrimp chow mein from scratch? To prepare shrimp chow mein from scratch you will need a few ingredients. Carrots are optional. I just like to add them for crunch, color and because you can’t go wrong eating carrots, right? To simplify the shrimp chow mein preparation and cooking process for you, I have broken it down into stages. 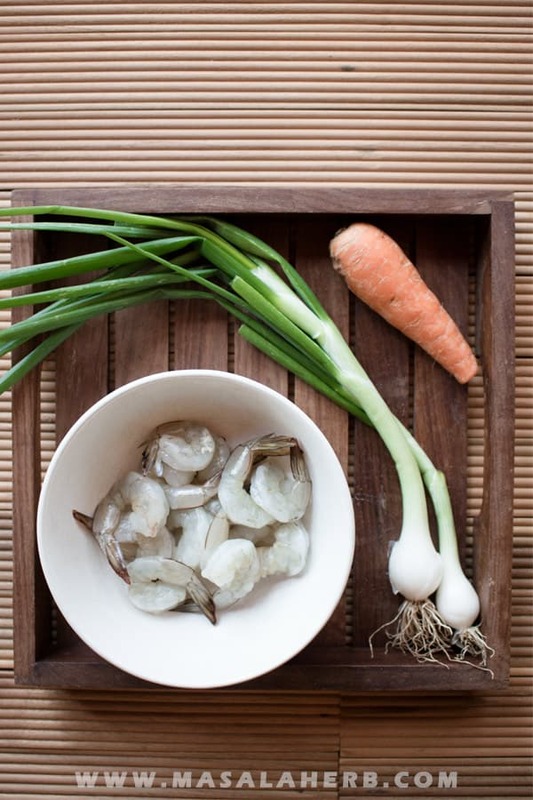 In Stage 1 you prepare your protein – the shrimp – and green produce, the vegetables. You will also mix the sauce to keep it ready to be used during the stir-frying process. Stage 1 will take you with frozen shrimps for about 7 minutes. In this stage, you need to clean your shrimp if you are using fresh shrimps, by removing the shell and deveining them. If you use frozen shrimp, just skip this step as the shrimps are already cleaned. To prepare a 15-minute shrimp chow mein you better use frozen shrimp or you will take much longer to prepare the chow mein from scratch! Make sure your shrimp are properly defrosted before stir-frying and get rid of any excess ice water. The shrimp tail might be on but that’s ok as they look better with the tail on, otherwise, just remove the shrimp tail to make things easier while enjoying dinner. 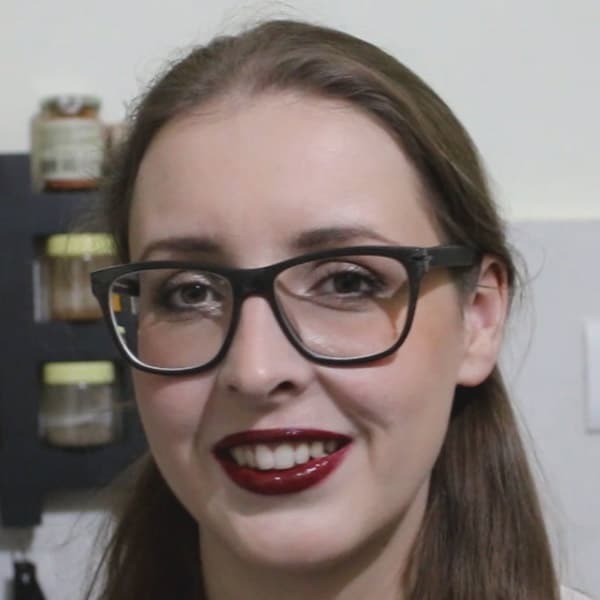 I usually buy a kilo fresh tiger shrimp (aka tiger prawns) and I clean them the same day before creating batches of a dozen to store in vacuum bags in the freezer. I did a short how to clean prawns video ages ago, be warned the video is from 2011 and was my first clip. The beauty of a shrimp chow mein is that you don’t need to add that many veggies. Cutting vegetables can take up time. So by all means, if you have time, add more vegetables such as cabbage, broccoli, sprouted beans… but don’t expect to get a meal done in 15 mins. Sor for the 15 min shrimp chow mein, clean and slice the spring onion. I usually make two batches of spring onion. I shortly stir-fry the white spring onion and the green spring onions are used raw sliced as a garnish. Raw green spring onion stalks give great flavor to the shrimp chow mein dish, which doesn’t overpower but compliment the other flavors (kind of like chives). Also, the green ads some contrast to the dish and remember, we eat with our eyes too. Carrots are a popular optional addition if cut into matchsticks. Gives color, crunch, and flavor. Ginger and Garlic make a chow mein all the more exciting! You have two options. Either you use fresh ginger and garlic or you use ginger and garlic paste, which in turn incorporates better into the dish. If you use fresh ginger and garlic, you need to peel the ingredients and chop finely. For the Ginger garlic paste prepare a bigger batch here with the ginger garlic recipe or buy Ginger garlic paste. Ginger garlic paste is an essential Asian food ingredient so you will need it more often then you think if you plan on cooking more such dishes. Just mix all the Sauce ingredients together. That includes soy sauce, chili sauce, vinegar, sugar, and salt. For the Soy sauce, I use deep dark medium thick soy sauce. For the vinegar, I usually pick something like rice vinegar or another neutral vinegar. My favorite is coconut vinegar. Tip: To make your sauce even more flavorful consider adding fish/oyster sauce, few drops Tabasco sauce and or peanut/sesame oil. The shrimp chow mein recipe stage 2 is quick and straightforward. Stage 2 will take you typically 3 minutes which can be done while you prepare stage 1. You need to cook your egg noodles, al dente, that means the noodles need to be cooked long enough so that they are neither hard nor soft. Heat up a pot with enough water and bring to a cooking point. Then place your noodles into the water so that they get submerged. Then you need to time and watch your noodles. Packet instructions usually direct you to cook the Asian egg noodles for about 3 minutes and that’s what I usually look out for. If you cook the noodles slightly too long they will get soft. This is the tricky part here! So just cook your noodles for about 3 minutes, then take them out and strain. Keep aside until you use them in stage 3. Tip: If you are not sure if your noodles have cooked enough, just fish out a noodle and bit into it. go according to your feeling. I still think that overcooking a slight bit is still better than raw noodles. In this stage of the shrimp chow mein preparation, the ingredients will be stir-fried and combined into a flavorful dinner. Stage 3 takes you about 5 minutes max! A stir-fry has to be prepared quickly without wasting time. That is why we kept all the other ingredients ready in advance. Now you just need to stir-fry the ingredients to build up your shrimp chow mein. You start out by adding some oil to a shallow hot wok type of pan. Use a wok or a smaller similar kadhai frying pan, as the heat is concentrated at the bottom and that’s what helps in the making of a great noodle stir fry. Chow Mein rule of thumb: Work exclusively on high heat when stir-frying for and work quickly! Just keep your wok moving. Then we add the al dente noodles and pour the sauce over the chow mein. Add about 2 tablespoons of water to the small bowl with the sauce rest, mix and pour that too over the noodles. Now you can reduce the heat a bit, while you will be stir frying the noodles further with all the ingredients. I recommend using chopsticks to do that to mix and stir-fry the shrimp chow mein. So much easier and that’s what the Chinese do too! Once you are done, take your chow mein from the heat and sprinkle the chopped green spring onion over the noodles to serve the meal hot and in style. I love to drizzle some sweet chili sauce over the Chow mein too, give sit another flavor kick! 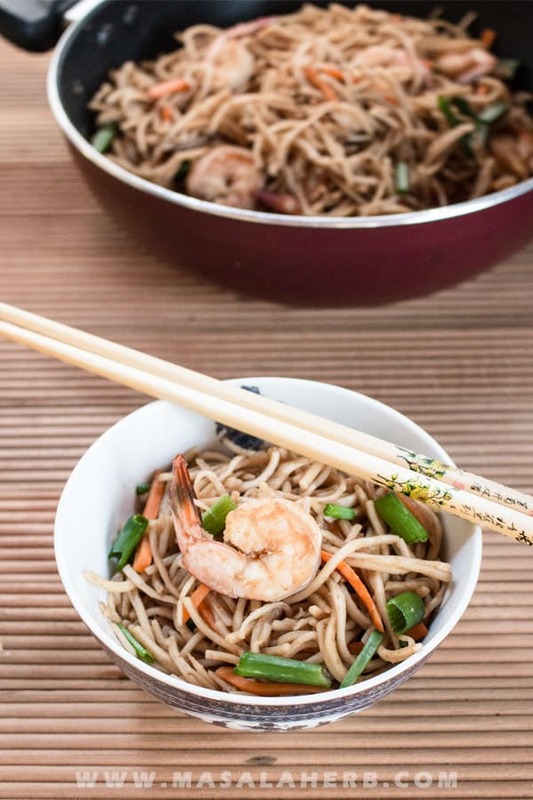 That’s all there is to this one-pot easy and quick 15 minutes nutritious and delicious shrimp chow mein weeknight meal! Deliciously easy shrimp chow mein, loaded with shrimps and nutrients. This healthier, homemade shrimp chow mein can be prepared in less then 15 minutes if you follow the steps mentioned in the post to the dot. Make sure to keep your ingredients ready as mentioned in stage 1, cook the noodles al dente and stir fry the whole content quickly on high heat. Ready is your fulfilling one-pot meal! Start out by preparing the spring onions and carrot. Wash the spring onion, discard any "dead" parts and cut the white onion part into thin slices. Reserve the green onion stalks and just cut them into bigger slices, they will be used as the garnish. Peel the carrot and cut as good as possible Julienne/into Matchsticks. Mix all the sauce ingredients together, except the water! Keep a pot to boil with water and once it's cooking add the noodles. Cook according to packet instructions or for about 3 minutes. The noodles should be cooked al dente, not mushy and not raw. Strain and keep aside. then place your wok on high heat and add the oil. Wait for the oil to get hot and throw in the spring onion, stir fry on high heat for a less than a minute. Then continue to add in the shrimp. Stir continuously and turn them so that they cook evenly on high heat ob both sides. The shrimp should be getting some color. At this point, you can throw in the carrot and just stir fry short again. Then you need to add the noodles and directly pour the previously prepared sauce over the noodles. Add the water into the bowl for the sauce mix again so that the content incorporates with the water and pour that too quickly over the noodles. Then Stir fry and mix the whole content well! I suggest you try to do it with chopsticks that's how the Chinese do it too. Do that for 1 minute over high heat and then you are done. Garnish with the spring onion greens as shown and serve hot! Use Ginger and Garlic chopped fresh (with 2/3 garlic & 1/3 ginger) or ready-made Ginger Garlic paste. Pick a chili sauce you like. I tend to use Sriracha. You can add more ingredients to the sauce for a complex delicious sauce, such as fish sauce, oyster sauce, Tabasco sauce, sesame oil or even peanut oil. Dear Reader, how did you get to know about shrimp chow mein? This looks like such a perfect dinner! Love how easy you make it look, too. I have never liked take out Chinese food but making Chinese recipes st home would definitely take it up a notch or ten! I keep sprouts in the fridge because they have a tendency of rotting very easily, what’s your secret? Chow mein is one of my favorite take out dishes, thanks to such a thorough post, I’ll easily be able to make it myself! I love how I can change it up with different veggies or protein! I love chow mein! This recipe looks delicious with the shrimp! Hey Helene! So funny, I saw this recipe when it first hit YouTube & had to go and make noodles that INSTANT – since then we’ve been on a mad noodle binge AND IT’S ALL YOUR FAULT!!! These are some fantastic looking noodles and I love that you can make it in one pot! The shrimp are an excellent addition! What a great recipe for a fast but delicious meal! Looks like al great recipe. Noodle bowls are always delicious. The fact you can make this at home in no time….skip the takeout!! I like anything fried – including Chow Mein. I remember there used to be American Choupsey with crisp fried noodles in tomato sauce. I used to ask for the eggless version and enjoy eating it. Can you do a recipe for that? The pics are indeed tantalizing,Helene… Being a vegetarian I am left with substituting the shrimps with my veggies and I guess it is gonna more than the estimated time of 15mins that you have mentioned!! Hi, this may be interesting you: 15 min Shrimp Chow Mein Recipe!